Dogs can be wonderful pets, providing families and individuals with endless hours of companionship, entertainment and unconditional love. 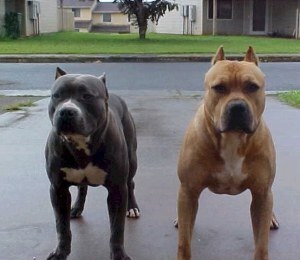 Some individuals use dogs for protecting their homes or businesses. Any dog can be trained to be violent. An example are pit bulls, a breed that can be as gentle as any other but trained by someone to be attack animals or who has abused them so that they become vicious , their sheer size and weight can cause catastrophic injuries to an unsuspecting victim. In cases like these, an experienced pit bull bite lawyer can work with you to obtain the compensation your injury deserves. What is the Massachusetts Dog Bite Law? Dog attack or dog bite statutes vary among the states with some requiring an injured person to prove the elements of negligence or that the owner or caretaker of the dog did not exercise reasonable care in preventing the dog from attacking someone. In other states, you must prove that the dog had previously bitten or attacked someone so that the owner had knowledge of the dog’s vicious tendencies. In other states, you can show negligence per se, or presumed negligence, if the owner or caretaker violated an animal control law such as not having the dog on a leash. Massachusetts uses strict liability in dog bite cases which is a lower standard of proof, to bring a personal injury claim against the dog’s owner. In the context of the Massachusetts law, you need only prove that you were bitten by a particular dog and that it was owned by a particular owner. Once that is demonstrated, you need to only prove your damages. An experienced personal injury lawyer can help you in prosecuting your claim. A caveat to the Massachusetts law is that you must not have provoked or teased the dog before it attacked you or that you were not trespassing. If you were throwing stones at the dog or purposely wandered onto someone’s private property and suffered a dog attack, you would have a difficult time to show that you are entitled to compensation. However, if the victim was 7 years of age or younger, the law presumes that the child was incapable of appreciating the law regarding trespassing or provoking the animal so that damages need only be proven. In any dog bite case involving a pit bull or other dog, consulting with an experienced pit bull attack lawyer can ensure that you understand your legal options if you wish to pursue an injury claim. If you lost a family member to a dog attack, the decedent’s administrator may bring a wrongful death claim on behalf of the immediate family and claim damages for financial and medical losses, funeral costs and loss of love, support and companionship. Pain and suffering in wrongful death cases are only allowed if the victim was conscious before succumbing to fatal injuries inflicted by the dog. Most losses are covered by the dog owner’s homeowner’s policy though some policies do specifically exclude dog bites. In those cases, your pit bull lawyer must pursue the assets of the dog owner. Neil Burns has been representing the victims of pit bull and other dog bite cases for 30 years in the Boston area and throughout the state of Massachusetts. Call Burns & Jain today for free analysis of your pit bull or dog bite attack case.